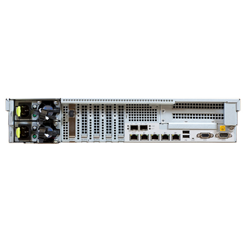 Meet network demands now and in the future with Huawei’s powerful, compact, high density, cost-efficient, easy-to-manage RH2485 V2 4-socket rack server. 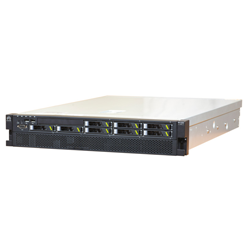 Energy-efficient, four-socket rack server in a compact 2U chassis powered by Intel® Xeon® E5-4600 v2 series processors. Supports up to 48 DIMMS and 3 TB memory capacity, meeting demands for memory-intensive applications. High performance, flexible expansion, and non-stacking design are ideal for enterprise databases, virtualization, and High-Performance Computing (HPC). Built-in Baseboard Management Controller (BMC) provides simple system management functions. Meet today’s demands and be ready for the future with Huawei’s powerful, cost-efficient, easy-to-manage RH2485 V2 rack server. 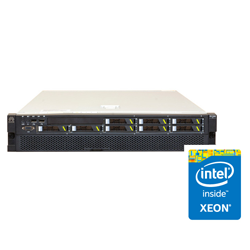 High density, large memory capacity is provided by four Intel® Xeon® E5-4600 v2 series processors, 30 MB L3 cache, up to 48 DIMMs, and 3 TB maximum memory capacity. Flexible PCIe 3.0 slots accommodate multiple PCIe riser cards for a balance of high performance and I/O bandwidth. ENERGY STAR® and Energy Conservation and Environmentally Friendly certified. 80 PLUS® Platinum PSUs and optimized onboard DC to DC conversion ensure high power efficiency. Temperature sensors monitor key components. Automatic fan speed adjustments precisely dissipate heat to ensure efficiency stability. Dynamic power capping technology restricts power consumption to a preset limit. Black box function facilitates fault locating and rapid service recovery. Built-in BMC provides simple system management functions. 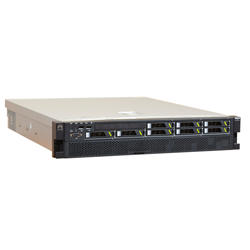 Management • Provide independent ports, support standard management interfaces, such as SNMP and IPMI, and provide the GUI, remote KVM, virtual media, SOL, intelligent power supply, remote control, and hardware monitoring. • Support Huawei eSight management software and integration with third-party management systems, such as VMware vCenter, Microsoft SystemCenter, and Nagios.